Worldwide Printing Solutions also implement the highest levels of recycling including ink cartridges & paper. Improving the efficiency of their systems and reducing waste was the first wave in becoming certified. 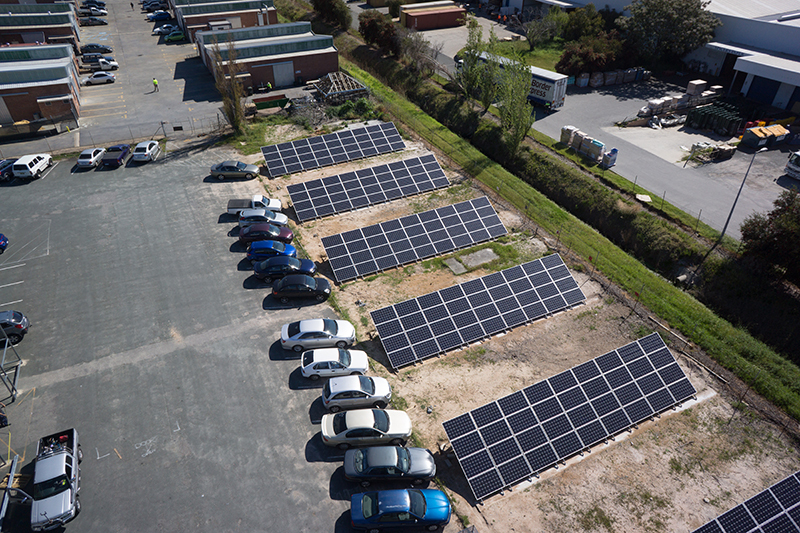 The second wave was the installation of a medium scale solar PV system to offset electricity purchased from the grid. As part of this Worldwide received a Clean Technology investment grant; a 99kW system was selected as the appropriate size. The PV system comprises both roof (39kW) and ground (60kW) mounted arrays. The ground mounted system was necessary as the vast majority of the roof space is asbestos. Further obstacles included a number of trees and an old shed at the rear of the property. 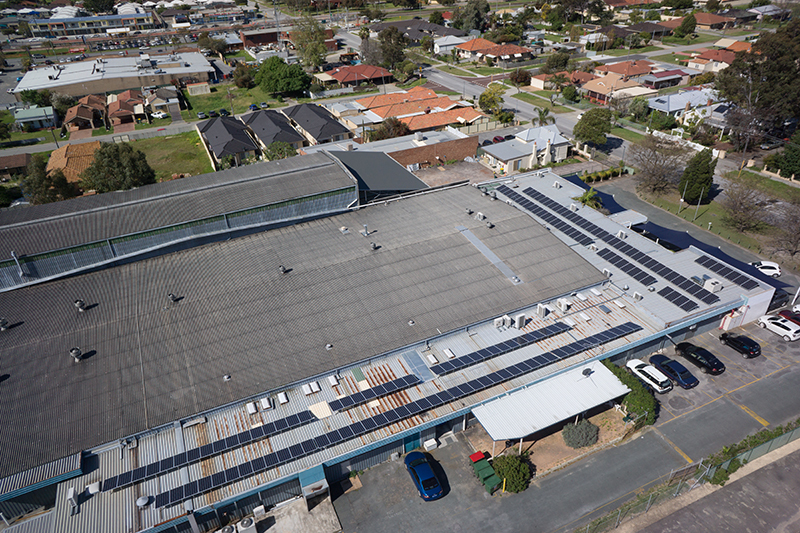 As part of the City of Canning application to receive approval, Solargain carried out a life cycle analysis (LCA) to ensure the environmental benefits of the solar PV system outweighed the natural carbon sequestration by the trees. trees. New trees will also be planted to go beyond carbon neutrality. The concrete footed ground mounted system is the first installation of its type that Solargain have undertaken and it has proved to be a great success. The 60kW system comprises 240 x 250W Suntech panels and 4 x SMA 15000kW inverters. 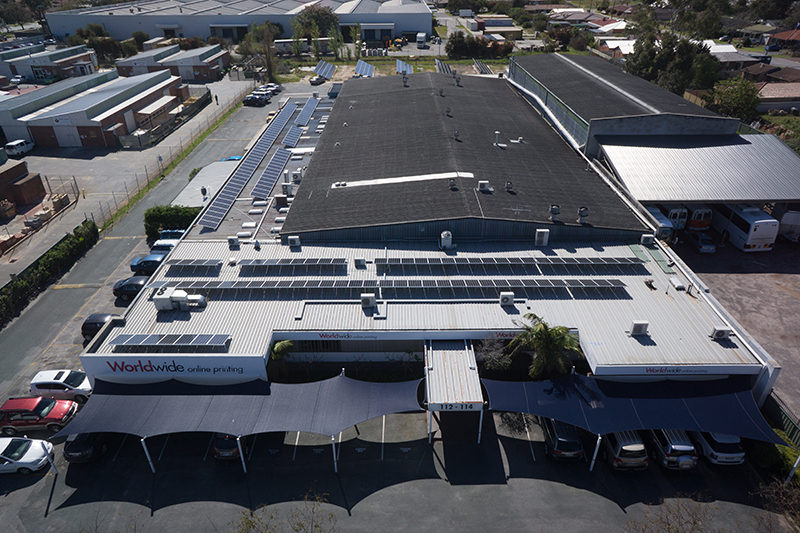 The roof mounted 39kW system comprises 156 x 250W Suntech panels, 2 x SMA 15000kW and 1 x SMA 10000kW inverters. Worldwide have a number of franchised branches around the Perth Metro area; the system is installed at the company’s main facility in Cannington where large scale printing and corporate clients are managed. The director Arnold Whiteside is extremely satisfied with the solar PV system and the service he has received from Solargain. This is evident in the fact that he has now commissioned Solargain to install a PV system for his family home.